I recently made a trip to Bulgaria – well, to the capital Sofia to be exactly – and therefore also explored its surroundings and witnessed some of the most beautiful places in Bulgaria. 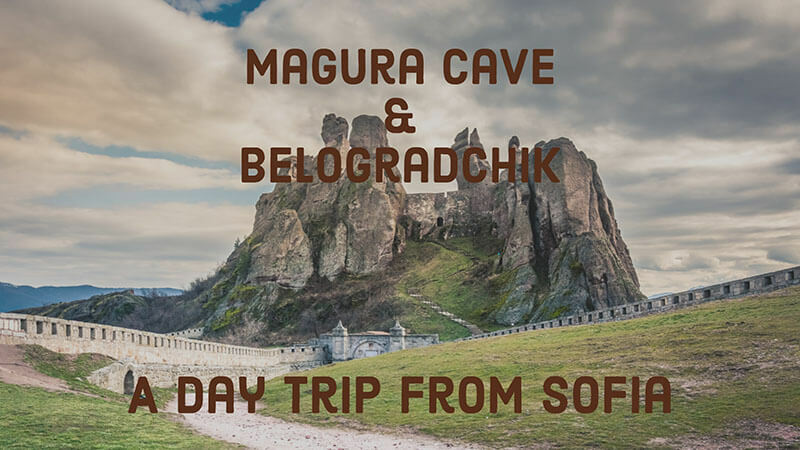 My favorite day trip from Sofia was the one to the Belogradchik Rocks and the Magura Cave. Both places are absolutely stunning and worth a visit. In this post, I will tell you everything you need to know before visiting these two impressive places in Bulgaria. Fun fact: I just visited Bulgaria because I found an extremely cheap flight. To start off I will introduce you the Belogradchik Rocks and its surroundings. First of all: They are, in my opinion, a wonder of nature and incomparable to anything I’ve seen before. They are not like the Alps in Switzerland for example – but not less impressive! They are basically a group of strangely shaped sandstone rock formations based in the Balkan Mountains in the northwest of Bulgaria. The sometimes weird and funny looking shapes have formed over millions of years due to many natural factors such as denudation or erosion. In 2009 the Belogradchik Rocks were nominated for the “New 7 Wonders of Nature” by Bulgaria. Even before you reached Belogradchik itself you will see the main actor of this place: Mother nature. The stunning landscape extends over a huge range and is glaring and incredibly beautiful. The most interesting sight to visit is the Belogradchik Fortress, also known as Kaleto (“The Fortress”), which is not only the main tourist attraction of the region but also a cultural monument of huge importance for Bulgaria. But don’t be afraid of huge tourist masses: When I visited the Belogradchik Fortress in February I only saw 2 other tourists there during two hours. One of the reasons for that is the bad street conditions and the remote location of the city of Belogradchik. But I will come back to that later. An interesting fact about the Fortress with it’s up to 12 meters height walls is that it was originally built during the Roman Empire and later used by the Ottomans, who conquered it in 1396. The last real use of the Belogradchick Fortress dates back to 1885 during the Serbo-Bulgarian war. The fortress itself is full of history and offers some of the best views to the Belogradchik Rocks – definitely a must-do on your one day trip from Sofia. Due to our lack of time, we didn’t visit the Museum of History in Belogradchik, however, I read that it has some interesting facts and histories about the development of Belogradchik and the whole region inside. So if you are interested in that you should definitely check it out. It also includes a “Nature” department and an Art Gallery. For more information, you can check out the official website, which is also available in English. As my recommended day trip from Sofia already includes the Magura Cave, which is absolutely fascinating, I will not lose too many words about the Venetsa cave that is located roughly 20 minutes by car from Belogradchick. I didn’t visit the cave myself, however, it seems to be a nice option to add if you have some time left or want to mix up your programme a bit. If you decide to stay in Belogradchick for more than one day there are some great options to stay close to the Belogradchik rocks for every budget. In general, Bulgaria is one of the cheapest countries in Europe to find accommodation and the hotels in Belogradchik are no exception. I will provide you with a list of some of the best-rated places to stay in Belogradchik below. The second stop on our day trip from Sofia was the Magura Cave. To be honest, I didn’t expect too much from the cave – what a mistake! It turned out to be one of the most interesting sights in whole Bulgaria. The cave is located 17 kilometers from Belogradchik which takes around 30 minutes by car. The overall length of the cave is around 2500 meters and the temperature inside is a constant 12 degrees Celsius during the whole year. Geological studies state that the cave started to shape 15 million years ago. 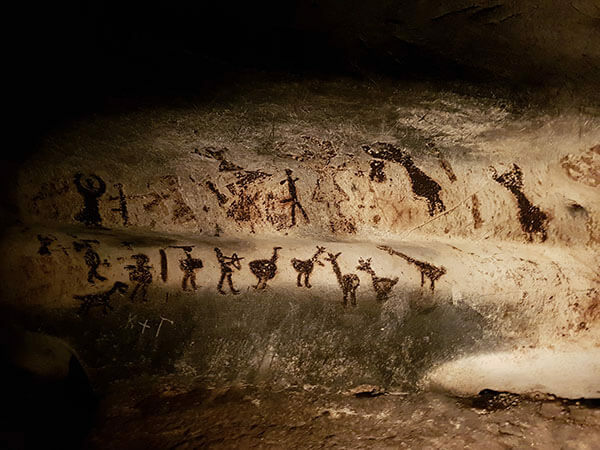 The most special part of the Magura cave though are the paintings that were found inside of big galleries. And they are from different eras showing women, hunting men, animals, tools and much more. Near the cave is also the Rabisha lake, the largest inland lake of Bulgaria. So far everything sounds awesome, right? And the reality is even better in my opinion! The cave is illuminated with light and not to describe in words. It is tremendously huge and leaves you speechless. What I liked the most were definitely the paintings which turned my skin into goosebumps. There are rumors that they were overpainted recently – however, I have not the knowledge to tell you if it’s true. I can just tell you that the paintings inside the Magura Cave are something that you need to see if you visit Bulgaria. You can even see bats that stay in the cave, sadly this area was closed while I was there. As much as I liked the Magura Cave there were some major drawbacks that occurred while I was there. The first problem was my own fault, whereas the others were definitely not. Firstly, you will need good footwear, as the ground is really slippery and it’s sometimes pretty dark. A Bulgarian guy that made the tour with us felt down walking down one of the many steep ways. My biggest criticism applies to the “guide”. It was an old local with no motivation at all: He almost rushed through the caves and couldn’t explain us anything, as he spoke no word English at all. Luckily the other participant translated some important parts for us. Still, while I enjoyed the magnificent place we always had to hurry because the guide already continued to the next part. Sure, I was able to research all the information on the internet, but for me, it is always an amazing experience to hear some background information from an experienced and passionate guide. Another funny part was the “infrastructure” of the entrance area. They didn’t even have a real toilet – so not the best experience if you need one. Nevertheless, the beauty of the Magura cave clearly dominates these little drawbacks! If you still don’t have enough after these two stops there is another one that I can highly recommend: Baba Vida. Located next to the Danube river in Vidin, which is almost in Romania, it is the best preserved medieval castle in Bulgaria. During the Middle Ages, it was the most important fortress of northwestern Bulgaria and also played a huge role during Byzantine and Ottoman empires. Nowadays it is a museum and is a popular tourist attraction. Well, my reason was another one: The castle just looked awesome and I wanted to take some pictures with my drone during sunset. As I went there after the museum was already closed I couldn’t check out the museum itself. Yet I can highly recommend visiting Baba Vida if it is on your route or you have some time left from the first spots. With its location next to the Danube river, it definitely offers some amazing views. You will find out later why it is also a great addition to your day trip from Sofia to take streets in a better condition. Baba Vida, located next to the Danube, is worth a visit. Now we are coming to an interesting point of this day trip from Sofia: How do you get there? Well, there are different options – some of them are better, some are worse. I will try to show you all the available options you have and also add my own experiences that I made on the trip. To use all the streets and highways you need a vignette, which you can get in gas stations. You can find the price list here. The streets vary from “okay” to “absolutely horrible”. Especially if you are used to excellent streets like in Germany it is a big adaption. Most highways just contain one track – overtaking trucks can be a challenge and Bulgarians drive extremely aggressive. 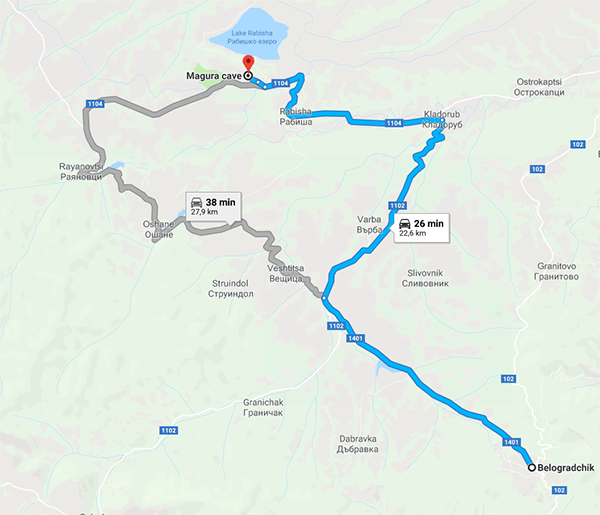 Now we have this out of the way and I will just show you the approximate routes and time you will need to get to your destinations: The Belogradchik Rocks, the Maruga Cave, and Baba Vida. To get to the Bolgradchik Rocks from Sofia you have two options: One of them is the “highway” (it’s more like a usual street) that is 218 kilometers long and takes approximately 3 hours. Also, you can pick a “mountain road” which is shorter (180 kilometers) and potentially a little bit faster. We took the latter option and got rewarded with some nice views, snow on the top of the mountain and more remote sceneries. However, the street itself was absolutely horrible and full of potholes. If you drive during the day this is okay, I would not recommend taking this street when it’s dark or snowy though. Another adventure was the drive from Belogradchik to the Magura Cave. It takes around 30 minutes and the street was, once again, in an absolute miserable condition. Luckily, there is almost no traffic and you can take yourself some time. There are also signs that lead you to the Cave, which may have misleading distance information, but were a good orientation. This is another 50 minutes drive but the street was surprisingly good, as it lies next to the Danube river and is also the main route for trucks driving to Romania. Due to the many trucks we needed more time than the 50 minutes, but believe me, that is absolutely okay when you are finally on a good road in Bulgaria. From Vidin, where Baba Vida is located, you can take the first highway that takes you directly to Sofia in 3,5 hours. The best thing about this: No surprises with bad streets, sometimes even two traces and in general a more relaxed way back home. This is probably the easiest option because you will just have to sit on a bus and think about nothing. That can be great – depending on your goals. I personally prefer to have more opportunities while I’m visiting a place, especially because I am a photographer and need to wait for better light or changes in the scenery sometimes. If you visit the places more for the historical and cultural part and to take some snapshots for your photo album a tour can be a great choice. 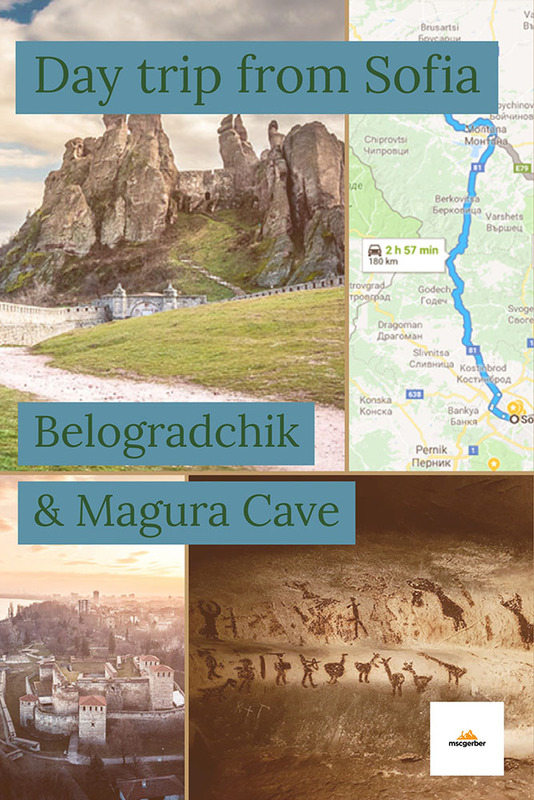 While I was doing my research I found a 9-hour tour that will bring you to both Belogradchick Fortress and Magura Cave for 74$ from Sofia. Including guides that speak various languages. You can find more information about this tour right here. It is, in theory, possible to visit at least Belogradchik by public transportation in one day. In my opinion, this is the hardest way and not recommended. Anyway, If you really want to do it I will give you some information on how you can do it. From the Sofia train station, you can take a train to “Oreshec”, which takes about 3,5 hours. The “Oreshec” train station is 11 kilometers away from Belogradchik itself: and there is the problem, I read about buses that drive from there to Belogradchik, yet I couldn’t find any timetable. If you book a taxi in advance (they are cheap) it should definitely be possible though. Also, there are daily buses from Sofia Central Bus station to Belogradchik that take around 4 hours in total. 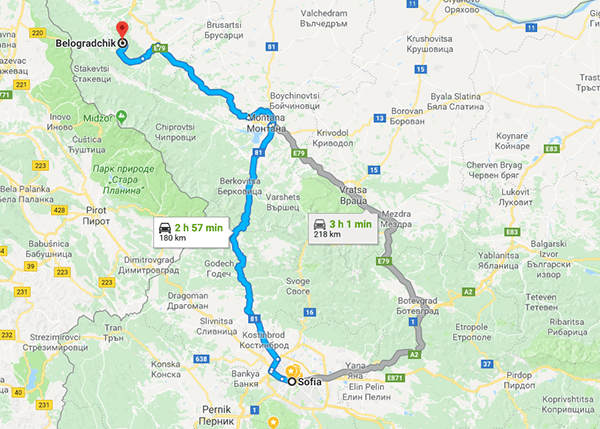 If you plan to stay in a hotel in Belogradchik this seems to be a legit option, for a day trip from Sofia, it looks pretty exhausting in my opinion. The last option is also the most expensive and, in my opinion, absolutely not necessary. Like in almost every bigger city you can book a private guide that will bring you to the location and tell lead you throughout the day. As the taxis are really cheap in Bulgaria this might also be an option for some – to be honest I would never consider it for myself though as you can experience almost the same for much less money on a guided group tour. If you stay in Bulgaria you will probably start off in Sofia, as it is the capital and biggest city of the country. There are various options to choose for a day trip from there, such as Veliko Tarnovo, Plovdiv, Belogradchik or Baba Vida. No matter what you will choose: Bulgaria has a lot to offer and is an amazing country. Bulgaria alone is a reason to visit the Balkansreason to visit the Balkans. Just don’t expect it to be a Western European city like Berlin or Paris – because it is completely different and beautiful in its own way. If you have any open questions or additions to my article please let me know in the comments or send me a message via mail or Instagram.